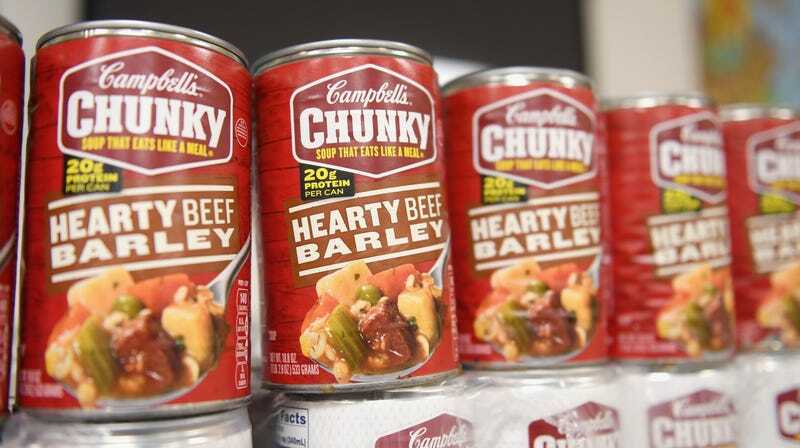 Original Post: Feb. 7, 11:29 a.m.: Campbell’s, purveyor of soups and the occasional sauce, have been granted a trademark on the word “chunky.” Their justification: Football and jokes. Not included: “C.R.E.A.M. (Chunky Rules Everything Around Me)”. In short, get ready to purchase lots of Progresso Potato Soup served chunked-style and Wolfgang Puck Chicken Noodle With Large Pieces.